Last month, HTC announced their new HTC U11 Flagship device; it has a Liquid Surface design with squeezable Edge Sense interaction, along with USonic noise canceling headphones, an industry-best 16-megapixel camera (according to DxOmark it’s the best they’ve ever tested, beating the Google Pixel), and it can work with multiple AI assistants including Alexa. 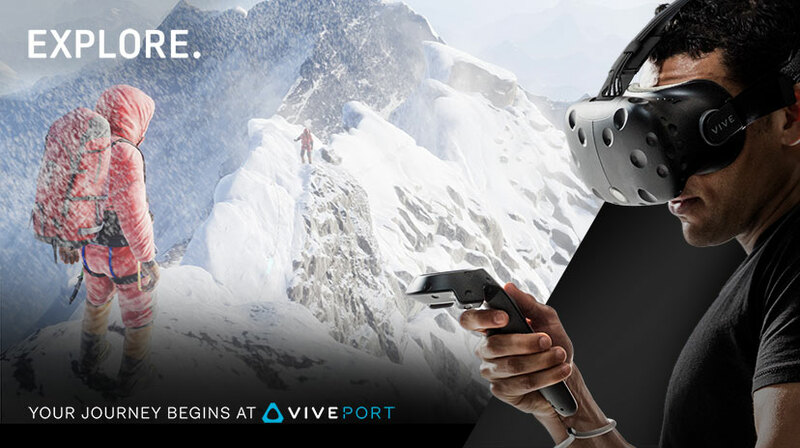 If you currently own HTC’s Vive’s VR headset, you’ll be happy to know that the popular company has finally announced their HTC Viveport app store for all Vive-compatible gear and gadgets. Less than 24 hours after being unveiled, the Google Pixel XL 128 GB is officially out of stock. 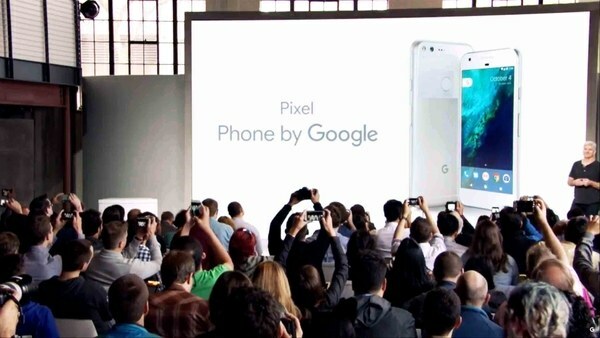 The phone, Google’s first attempt at managing the design process, had been widely criticized as too expensive. 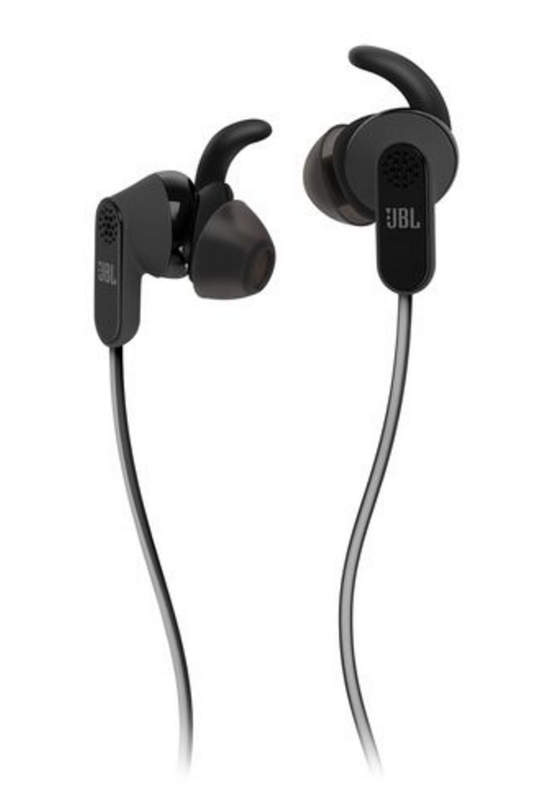 Starting today, if you purchase an HTC 10 through HTC.com (and if you live in the US), you will receive a free pair of the JBL Reflect Aware C Sport Headphones. This offer is good until August 31st as long as supplies last. You’ll also get a $100 accessory credit to use on HTC.com (excluding the HTC Vive and accessories). 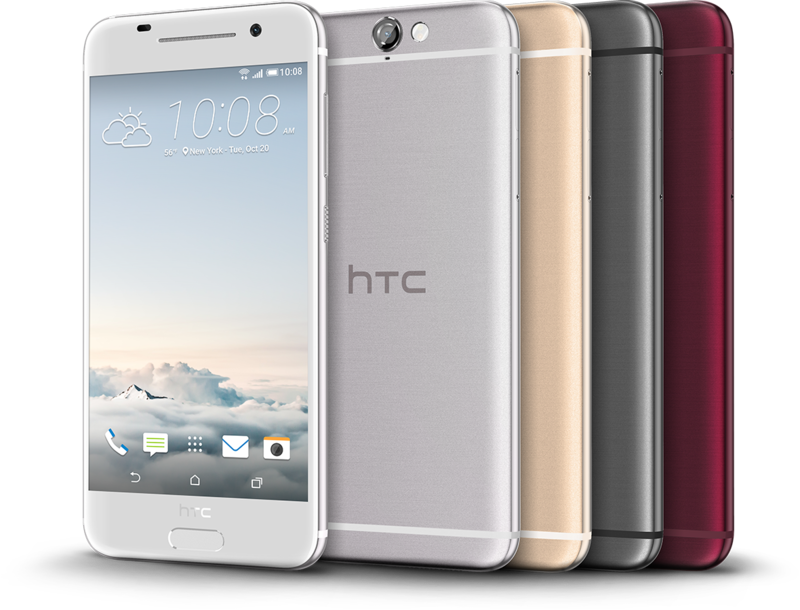 After all the articles swirling around last week regarding how the new HTC One A9 looked like an iPhone 6 copy, looking at the just released phone, I’d have to say “not really”. Okay, it’s got the same antenna lines, but you can find those in other unibody Android phones. Does HTC Have a Future? HTC is not doing well. Their stock is trading badly right now, and their reputation as a top-tier smartphone company is under a great deal of pressure. 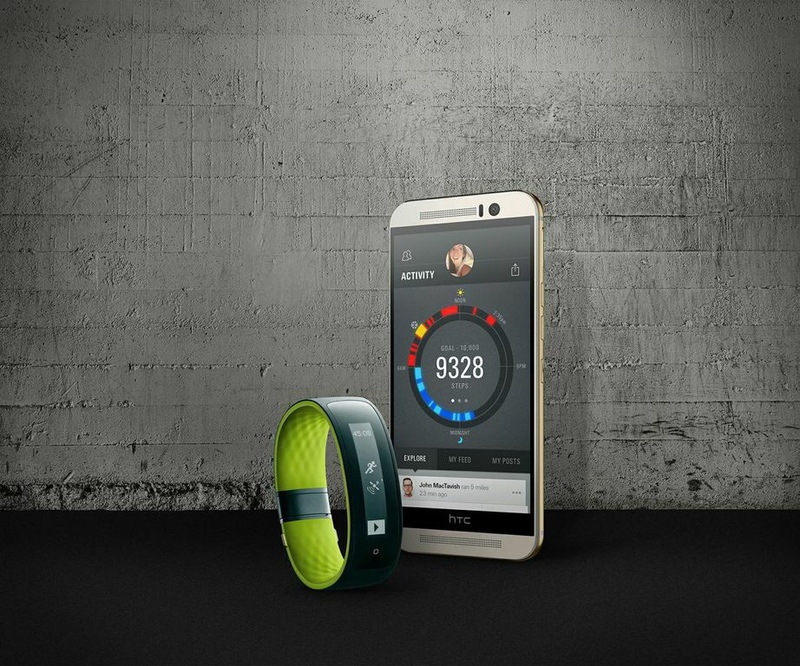 The HTC One M9 landed with a whimper rather than a bang, and they had to delay their Grip fitness band. So does HTC have a future? 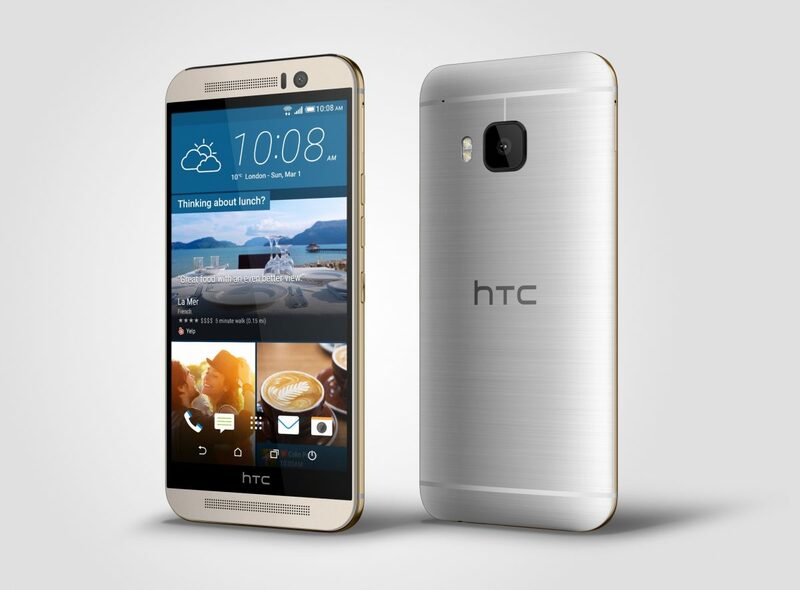 I mostly love my HTC One M8. It’s a year old, but still has the latest software, and nothing on the market is compelling enough to get my to trade in my trusty One. Except one thing: the One has been exceedingly buggy on and off lately, and I can’t decide if there’s a better solution than a hard reset. 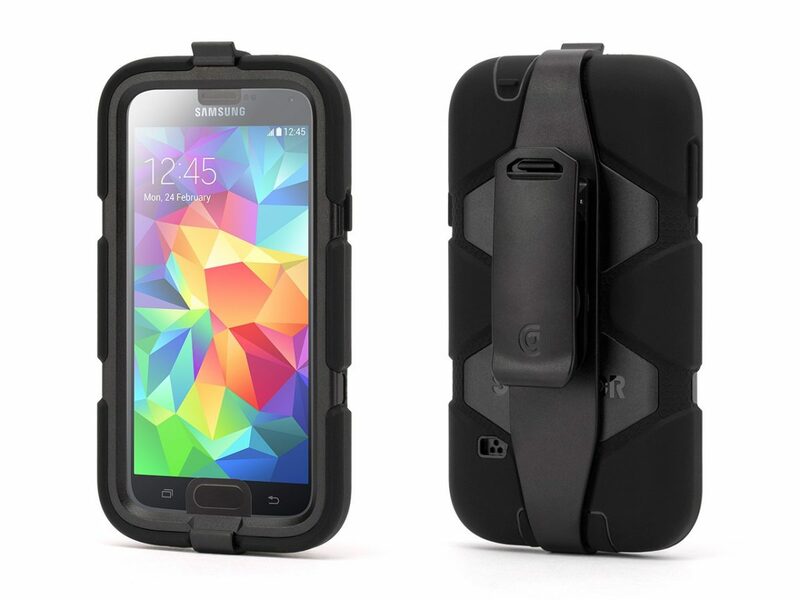 Do You Pick Gadgets Based on the Accessories? This week’s flurry of news and smartphone announcements, combined with the impending launch of the Apple Watch, has me thinking a great deal about my next phone. Now, Android versus iOS versus Windows Phone is one part of the debate, but even when I narrow it down there’s another piece: how many accessories are out there? HTC is busy at MWC this year; first they announced the One M9, and now they have a companion fitness product, the HTC RE Grip. It’s a fitness tracker with GPS, and it syncs with Under Armour (which means it will work with My Fitness Pal as well as the MapMyFitness products). 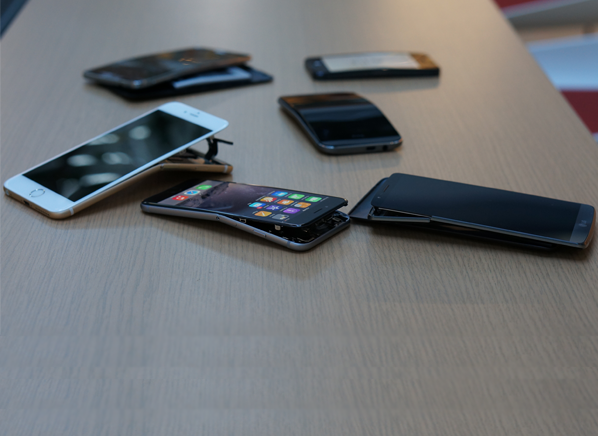 By now anyone who follows technology – and many who don’t – has heard about #BendGate, the term coined after a video showed how easy it was to bend and distort the iPhone 6/6+. Honestly, I wasn’t surprised – they are incredibly thin and light with an elongated aspect ratio. But is #bendgate REAL? Consumer Reports took a scientific look! 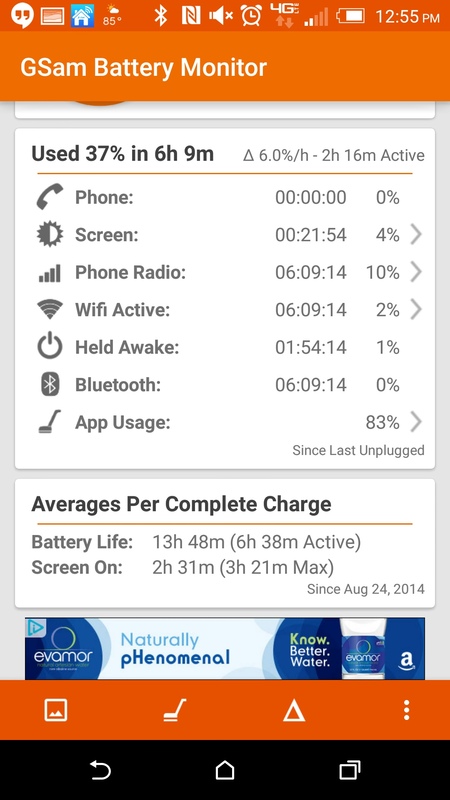 HTC One M8 Update Brings Extreme Power Saving and a Fix for Pocket Resets! 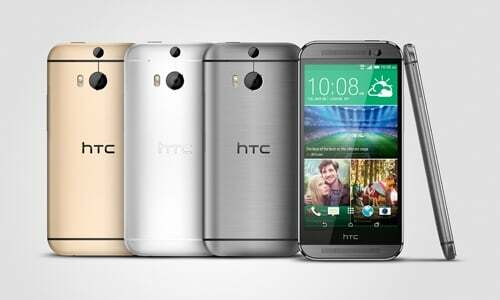 If you have an HTC One M8 on Verizon, here’s great news: the Android 4.4.3 “KitKat” update is out today, and it brings two excellent goodies with it! First, we’re finally getting Extreme Power Saving mode, designed to eke every drop out of a dying battery. 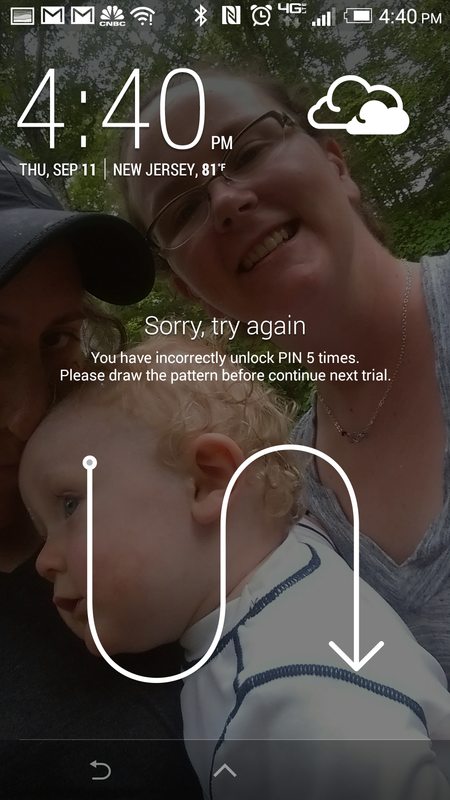 Second, they’ve tweaked the lockscreen security app to prevent accidental resets! 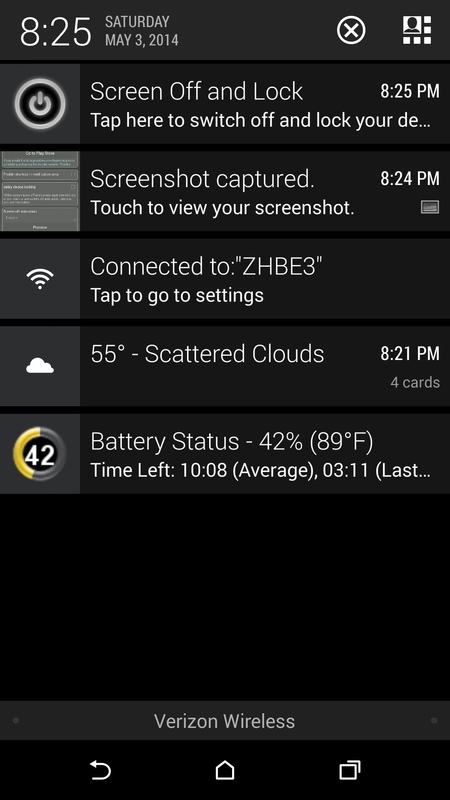 The HTC One M8 has a double tap to wake feature, which is great. The One also has a security feature where 10 failed password attempts resets the phone. These two features came crashing together disastrously for me yesterday afternoon, so for now I’ve turned off the ‘double tap to wake‘ feature as a result. 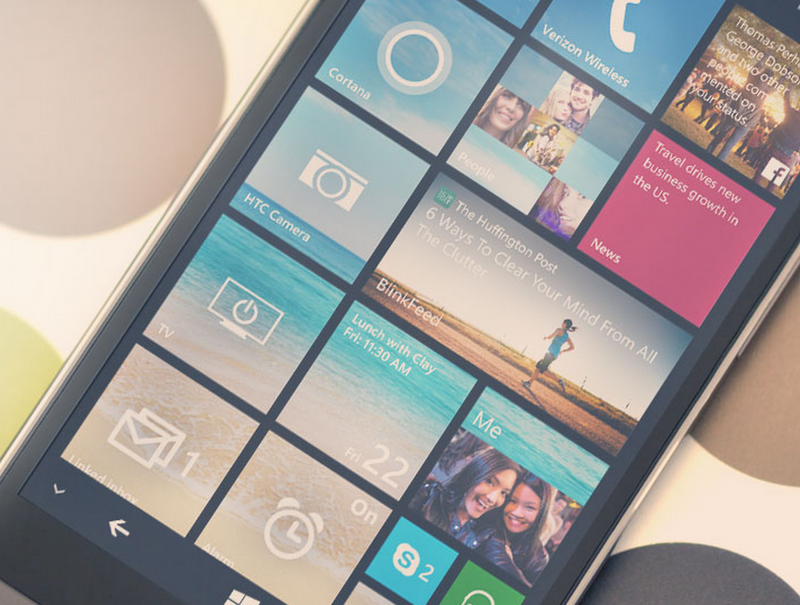 If you love the HTC One (M8)’s design, but you’re totally digging the Windows and Windows Phone environment these days, HTC has something that should definitely catch your attention — their flagship One for Windows Phone is available online starting at noon ET today, or you can pick one up for $99.99 at Verizon stores starting tomorrow. I love my HTC One M8; the Boomsound speakers, sharp screen, fast processor, and excellent Sense UI skin all make for a fabulous experience. 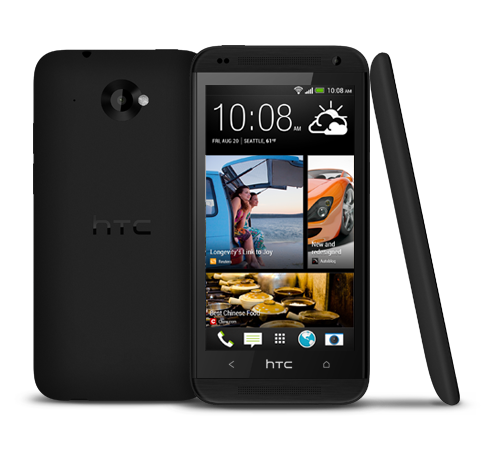 If you’re looking for a similar phone on prepaid services at a reasonable price, then you should check out the new HTC Desire 610 and 816! I really love my HTC One M8, but hands down its best feature is the “Boomsound” speakers. Tonight I was playing Pandora on the deck for our son, and Sarah could hear the music across the backyard so clearly she thought I was using Bluetooth speakers! Not many phones can claim that kind of speaker power, especially outdoors! The metal body of the HTC One M8 is a standout feature; it feels great, but it’s quite slippery. Covering such a gorgeous phone in any old case or skin seems like a travesty, but it needs something to give it grip. Toast has stepped up to the plate with their real wood Toast Cover; do metal and wood mix? 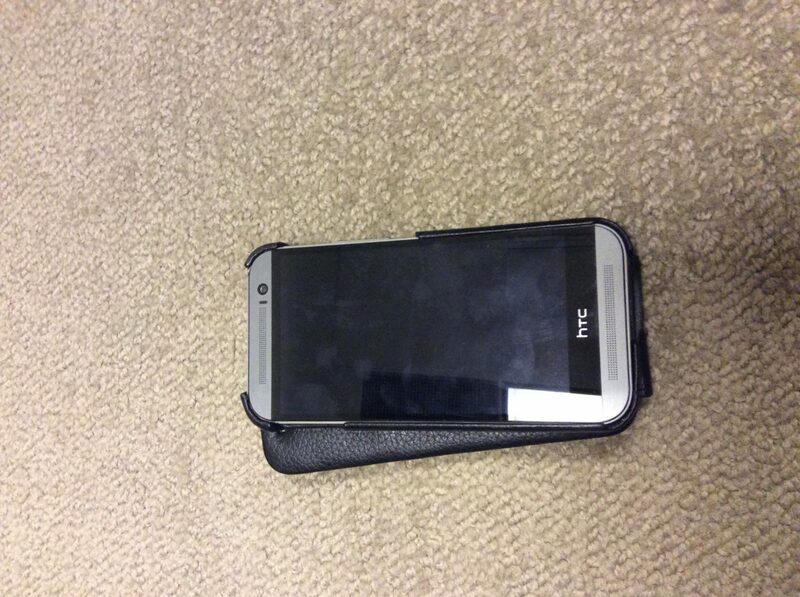 Noreve Traditional Leather Case for the HTC One M8: Leather Luxury! We have looked at a number of cases and skins for the HTC One M8, but most of them have been fairly pedestrian and plastic. A premium metal phone deserves a premium case, and that’s what Noreve aims to deliver with their Traditional Leather Case for the HTC One M8! 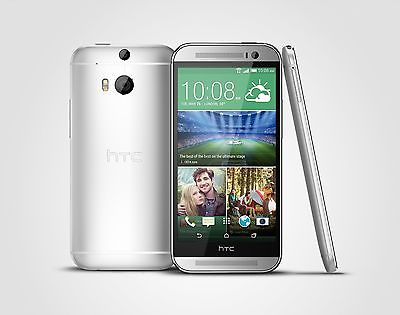 My HTC One M8 is a very tall phone. 90% of the time it doesn’t bother me, but sometimes if I am using it one-handed, hitting the top power button to lock it is a stretch. I resigned myself to just dealing with it, but then I discovered a simple utility, the aptly named Screen Off and Lock!